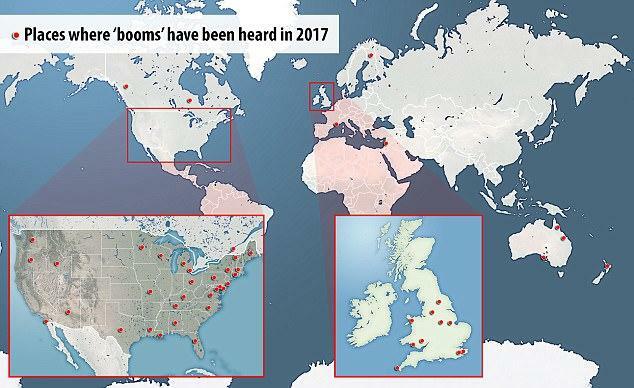 Following a joint investigation with the FBI, the best authorities have been able to come up with for the ominous booms which began on April 2 is that they were caused by an individual setting off "explosions." One resident's account of what happened seems to back up the explosions theory after a boom was heard in Nockamixon Township by resident Nick Zangly, who told the Bucks County Herald “it was one hell of an explosion,” who lives down the street from a 4-foot wide by 1-foot deep cavity, which he alleges opened up after the blast. 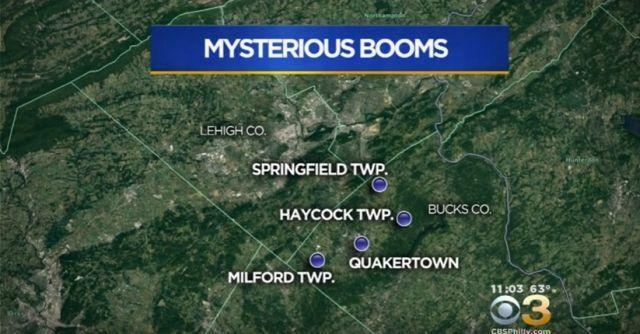 Meanwhile, Mysterious booms are not just limited to Pennsylvania, as there have been local reports from across the country of booms rocking towns from coast to coast. Likewise, officials have zero answers to provide their citizens, it is hard to prepare for an event if it is not yet identifiable.